As a restauranteur, you’re in a battle every day to provide a better dining experience than your competitors. It used to be that if you offered higher quality food and drink and had a great atmosphere with professional and courteous servers, you could thrive. Today, all that can be easily soured by missing out on other factors related to your restaurant technology. 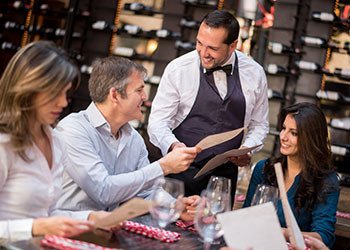 Here are 4 ways that your restaurant POS system can be used to create better, more engaging dining experiences for your guests. Loyalty Programs — The loyalty functionality built into your POS software can become one of your most powerful marketing tools. By offering a loyalty program, you can grow your customer database for future marketing messages to engage with customers in ways meaningful to them. Not only can you reward customers for their loyalty via customized coupons and discounts, you can use the data collected to understand customer behavior, adjust your menu, and ultimately, provide a better more enriched experience. Online Ordering and Online Reservations — Customers enjoy the freedom and flexibility to engage on their own terms and timelines. Giving the ability to place orders and make reservations online is an effortless way to enable positive experiences with customers. Tableside Ordering and Payment — One of the best ways to increase engagement with guests is to arm your wait staff with mobile devices such as iPads. With mobile devices, your wait staff can enter food and drink orders directly into the POS system from the table. This reduces the potential for errors that occur between hand-written tickets and data entry into the POS. It also results in guests getting their orders faster since the order is sent directly to the kitchen printers from the table. Additionally, this increased speed and added efficiencies result in higher table turnovers, enabling you to serve more guests. There’s another benefit to using iPads for order entry: iPads and other modern-looking POS devices will give your restaurant an upscale and modern appeal many guests appreciate today. Line Busting — A challenge with fast-casual dining during peak times is losing guests before they even have a chance to be seated. With line busting functionality combined with a mobile device like a smartphone or tablet, orders can be taken for guests waiting in line. This improved experience results in fewer lost sales and, in fact, higher average tickets since happy customers tend to order more. At one time, the above features and functions were cutting edge and came at a premium price reserved only for the largest restaurant chains. Today, they are affordable and within the reach of all restaurants seeking to engage with guests on a more meaningful level. If your software has these features already baked in, turn them on. If it doesn’t, it’s probably time to switch to a system that allows you to compete in today’s digital age.